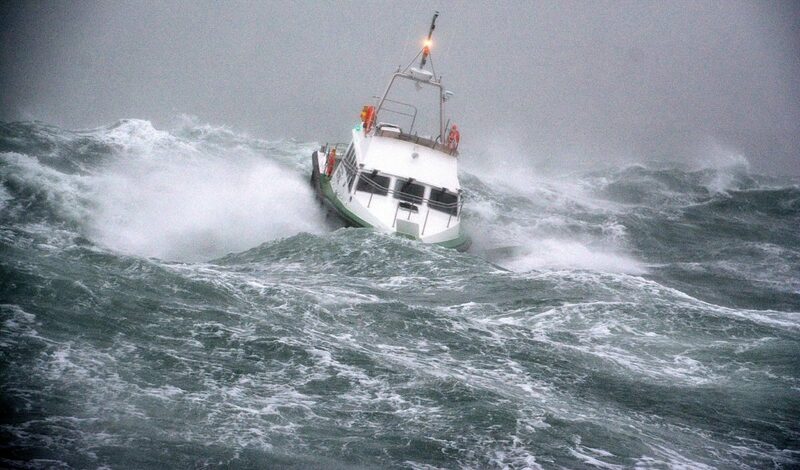 Safehaven Marine is taking perfect advantage of recent heavy weather and surf off the coast of Cork, Ireland. Last week they we saw the heavy surf sea trials of one of their Interceptor 48s, a self-righting all weather pilot and rescue boat. You can see those photos HERE. Phenomenal sea conditions today. We were on acceptance trials 4 miles south-west of Roches Point in storm force conditions, on the Adani Interceptor 42, when we were hit with near hurricane force winds of over 80mph, we had no choice but to hove to for a while. If you wondered what F12 looks like from a small boat, this is what it looks like! The Interceptor 42 is being delivered to Adani Hazira Port in India.